Our website (trackingshipment.net) is not affiliated with DSV. Please be advised that DSV-tracking service has just been added to our service and we haven't enough time to collect a lot of information about popular questions. At the moment all results are being represented without our correction. You can ask any question about it, we will find an answer on it. We will make a FAQ in the short time. 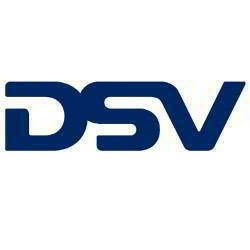 DSV is a company with a great history of success. It grew from a domestic delivery service to an international logistics and transportation company. The company offers on time deliveries to any point of the world. The cargo can be transported by sea, air, rail and road. Besides, it provides its clients with all necessary warehouse necessities. DSV is an international transportation company, which helps solve all possible postal and cargo requests. The company built a widespread delivery network, unique system of hubs, service centers and highly powerful DSV tracking system. The DSV delivery tracking system is a very convenient monitoring instrument, which allows checking information about every order, delivered via the services of this company. Using the DSV tracking service clients can obtain all necessary information about their order. The system can show information about the current location of DSV courier, estimated time of arrival of the cargo and its weight. With the help of a unique tracking number every client can find out the above mentioned information. To use the mail tracking service a client needs to visit the official company’s website and enter the tracking number. All information you receive online, is constantly updating and you can fully trust it. The system is very responsive and easy to use. It works round the clock and works without any glitches due to the support of a special team of IT specialists. DSV offers a wide range of services for all types of clients, among them small businesses and big industrial giants. The company provides a great number of logistics solutions. The services for clients include a unique set of solutions that meet the needs and requirements of even the most demanding clients. These services include fiscal representation, return handling, customs support and many value-added services and options. Each of us uses the services of different delivery companies from time to time. Everyone knows that if they want to track the order, it is possible to use a tracking system of the logistics company. That is easy. However, what if you use services of not one, but three or five companies? In this case, a client needs to use several tracking systems at once. Of course, it is not convenient. There is a very easy and convenient solution for this problem. This solution is a universal tracking system like K2track. It contains data regarding almost all world transportation companies and eliminates the necessity to use several tracking services at once. It is a great technical decision for thousands of clients all over the world.